As I realized how powerful Home Assistant is I thought of ways I could use it to increase my home’s utility and energy efficiency and thought of my blinds. 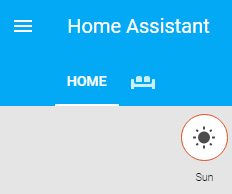 The rear of our home faces roughly southwest and we’re on a hill so we get full afternoon sun so I figured I could automate the blinds to open in the morning and close once the sun got to a certain position based on the sun component in Home Assistant. 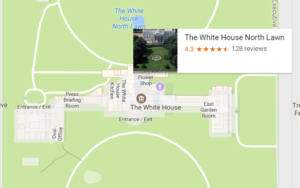 Everything after the @ symbol are the GPS coordinates of that location. After you save your configuration file, restart Home Assistant and go to your das hboard. If everything went as planned you should now see the sun icon on your dashboard. Its status will change as the sun moves through the sky. You can use the sun’s events to automate things to happen near certain events related to the sun like sunset or sunrise. I want to configure my blinds to open in the morning and close when it’s afternoon and the sun is at an angle where it will cast sunlight into my room. I could make my automation do this based on time but the sun’s track through the sky changes as the seasons change and something that worked in the winter may not perform optimally in the summer. Luckily the sun component track’s the angle of the sun above the horizon which I can use to approximate when the sun would be beaming through my windows.